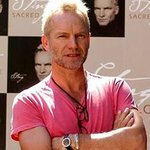 Sting and Shaggy will perform at this year’s amfAR Gala Cannes event. Alessandra Ambrosio, Poppy Delevigne, Linda Evangelista, Silvia Fendi, Aileen Getty, Kate Hudson, Scarlett Johansson, Milla Jovovich, Heidi Klum, Daphna Krim, Karolina Kurkova, Sienna Miller, Angela Missoni, Mary Parent, Katy Perry, Natasha Poly, Aishwarya Rai, Vanessa Redgrave, Joely Richardson, Carine Roitfeld, Caroline Scheufele, Irina Shayk, Lara Stone, Donatella Versace, and Michelle Yeoh are the Honorary Chairs of the 25th edition of amfAR's world-renowned amfAR Gala Cannes event, to be held on Thursday, May 17, 2018, during the Cannes Film Festival. Event Chairs include Len Blavatnik, Milutin Gatsby, Michel Litvak, Alexandre Ricard, and William H. Roedy.